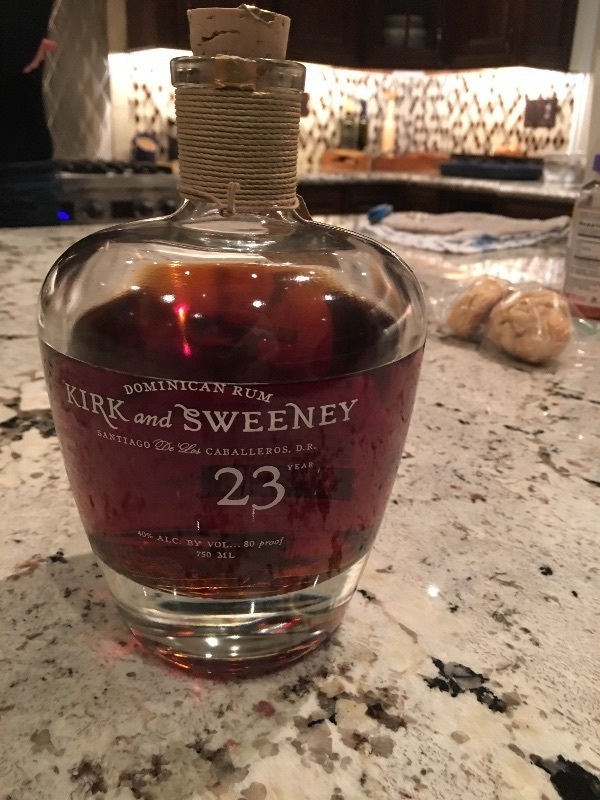 Have you found an online vendor selling Kirk and Sweeney 23-Year? Easily approachable and exceptionally smooth. Lovely presentation (I don't want to know how much has been spent on marketing this product.) Will update if I get another chance to try it. Any rating lower than a 9 for this rum is nonsense! It's a godsend...and King of the Agricoles! Oak, vanilla, and caramel are the dominant flavors with hints of brown sugar, molasses and maple syrup. The nose is almost candy-like. It finishes like silk, smooth and luxurious with no bite at all and with a pleasant tobacco note. This is not a hot or spicy rum and despite its 23 years in a barrel the conspicuous tobacco note is not burnt or foul tasting, more like a very well maintained high quality cigar. It has a deep cherry wood color and a thick, rich body that sticks to the glass. This rum needs to breathe a bit before drinking, I say at least a half hour. The next day I chilled it in my freezer and it was amazing, more candy like. This is a sipping rum and I know its not the smartest thing to do with a rum such as this but if you add it to Coke you'll have Vanilla Coke with a kick! I'll be buying this rum again next week... I'm glad to have taken this one off my wish list. For $42 a bottle this rum is actually under priced! Edit: I've always said the best way to really get into a rum and discover its character is to get hammered off of it! I did that this weekend. I woke up and there was that beautiful tobacco note lingering in my nose and the taste of vanilla beans in my mouth. Then, three hours and two Gatorades later I got out of bed. Yes, this is a very fine rum...but it delivers a crippling hangover! Play with caution. This is a delicious rum from start to finish. Somewhat sweet with nice butterscotch tones to it. Does make my tongue tingle. This has joined Vizcaya VXOP & Plantation XO 20th Anniversary as my official sipping rums. I place this third in line because although I would be hesitant to use this in Coke Zero or as a mixer, the butterscotch and toffee undertones would really be an asset. So consider this a hugely delicious versatile rum. Sugar: 2 to 5 gpl. The 23 year old is sweeter, more complex and is a darker tone of mahogany than the 12 year old. The 23 has a lot more aroma and taste with a much longer finish. You can tell from the smell and taste that is has spent a lot more time in the barrel. Molasses, pecans, caramel, vanilla, and plums or apricots, are tastes and smells that I found. The surprising thing is that the 23 year old is just a few dollars more than the 12 year old, but. Skip the 12 year old and go for the 18 or the 23 year old version. Personally I prefer the 18 year old version. Found a bottle of this recently. It is thee best drink I've ever had. Let it breath for 15-20 minutes. It is similar to the 12 year old, which I reviewed as my "new go to," but the flavors are more incredible, it's smoother, and it is a beautiful rich mahogany color. It is slightly but not overly sweet. There are hints of oak, vanilla, tobacco, banana, and other fruits. I prefer it with ONE ice cube, which I won't call on the rocks, but giving full disclosure. It is hard to find, but if you can find it buy it. If I could have 3 oz of this every night I would consider myself in heaven. Vanilla, then caramel, then oak in a smooth rum with a mild bite. My favorite of this genre and one of my first reaches to sip neat. Ce rhum est vraiment cher a l'achat au Quebec, acheté a l extérieur du pays. Ce rhum vraiment est excellent. Meilleur que le 18 et le 12 ans oui, mais la différence pour le prix ne vaut pas la peine. Meme si je ne suis pas un fan des rhums agricoles celui-ci surpasse mes attentes. Il est bien balancé et complexe. Il goûte le caramel, miel, amande et vanille. Il est complexe et long en bouche. On ne goûte pas trop le chêne comme son frère 12 ans. 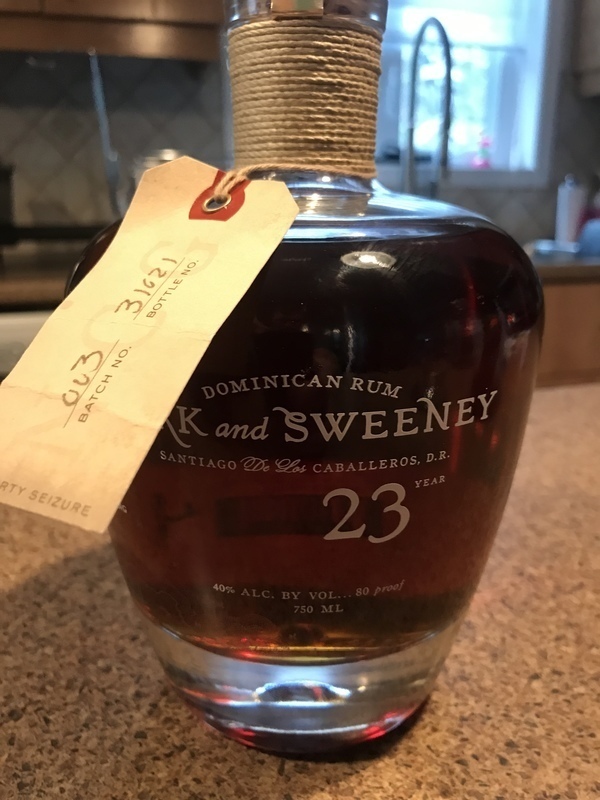 K&S 23 is my absolute favorite rum so far. You won't find anything as deliciously complex at this price point (~$55). I'm traditionally a bourbon drinker, but this bottle called to me one day and opened up another world. Toffee, oak, tobacco, dried fruits, caramel, mild spice...it's got it all. The finish is long and velvety smooth and leaves a smile on your face every time. No ice, no water, and definitely no mixer needed. The following rums are comparable in price point but no where near as good: Zafra 21, El Dorado 15, Ron Zacapa 23, Brugal 1888, Rhum Barbancourt 15, Flor de Caña 18, and a bunch of unforgettables.
. . . It's so close in taste and quality to the 18 year. Don't pay a lot more for this than that but if you're only talking a couple bucks difference then sure. This is a great rum. I gave the 18 year a 9 by rounding it up from 8.5, this is probably a true 9. As we opened the bottle,we had high expectations.The rum is very hyped and not existent in shops in Europe. First we thought we have a dram of a Quater-cask whisky,but not of a good kind. Bitter,almost not enjoyable.We thought it's a faulty batch,or the cork was maybe too old and too much air destroyed the aromas. I paid $32 for a bottle and would have happily paid $100 and not been disappointed. From the nose to the finish it is nothing less than fantastic, lots of dried fruits, vanilla, carmel, chocolate and Mascarpone and lightly sweet to the exact perfect amount. The mouth is pure silk and goes down the throat just as well. I am a rum snob no quams about it but dollar for dollar i have spent this is well worth every penny of it. Probably in my top 5. Much better than the 12 year and I can't wait to try the 18, but i know it won't measure up to this 23 year bottle of perfection. GET SOME DUDE! The aroma was even better than the flavour....ok nearly. Silky smooth with banana, vanilla and butterscotch. A saver for special moments. 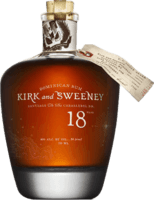 I was super impressed by the Kirk & Sweeney 12 Year Rum, so I bought their 18 and 23 year rums. Those are even better! What's more impressive is that they are both primarily based on sugarcane (agricole), which I've never cared that much for before these. The 18 is pretty close to the 23 in taste; in fact they're almost equal. The 18 is just a bit sweeter, while the 23 tastes just a bit more aged (much like the difference between the El Dorado 15 and 21). I like both sweet and aged, so I'm torn between the two. I'll give the 18 a very slight edge over the 23, just like I give the ED 15 a very slight edge over the ED21. But I definitely believe they are both very good. Vanilla, sugarcane, caramel, nutmeg, oak, and just a hint of sherry. The nose is incredible. You've GOT to try these! I have quite a few sipping runs and was quite surprised how good this rum is. Great aroma, pleasant taste of caramel and vanilla. Very little burn at the end. Facunda Esquisito is my all time favorite and this is a close second to that. I realy appreciated this rum, this is my type of rum. Fantastic smell of vanilla and caramel, with a note of oak. 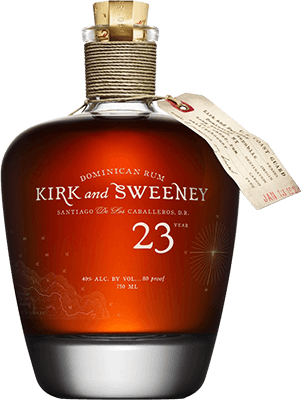 On the palate, you find a lot of the sweetnes and is a very smooth rum to be aged 23 years. I suggest to let the bottle breath for 1 our, because this change a lot the aromas. Brown sugar, dark chocolate, caramel, and the faintest hint of coffee. A great woody presence to round it out and let you know this is an OLD rum, but not enough to get in the way of your enjoyment. Smells good. Tastes great. Has a lasting finish. This is one of those rare rums that distinguishes itself not because of some unique twist it has to offer, but because it does all of the normal things really, REALLY well. A dry rum paked with green bananas and oak. Nice bottle, love it. It is so incredibly smooth, you could practically glug it down, if you had a mind to. It has everything the 12-year old has, but is even smoother. I feel it is possibly a touch sweeter, and with more character. I paid £56 for this one, which I feel is a decent price, but the problem is that I have enjoyed it a little too much ... I have only one small pour left only 5 days after buying it. I found myself wondering if this means I'm an alcoholic, since I can't wait to get my tongue in amongst it. However, I'm reassured by the fact that I know that if there were none left of this bottle, I would still not be tempted by one of the other bottles I have ... MG Eclipse, Morgan's Spiced. Certainly not for sipping neat, anyway. Překvapilo mně, že KS 23y je dost pepřový. Nevím jestli to je záměr, ale u takto starého rumu je to dost nepříjemné. Pak sice přejde do lehce karamelového tónu s náznakem sudu. Závěr super. Proto 7b. Wery nice one, complex and ballanced, full. Dried fruits. On the beginning with also wood taste, later sweet tone also with honey like. To be clear this is an añejo rum made from fermented and distilled blackstrap molasses, not an agricole rhum which is made from distilled squeezed sugar cane juice that hasn’t been fermented. I say this as some have mistakenly called this an agricole, which has a difference in production and flavors. That said, this rum is excellent if you prefer complex, smooth, and subtly sweet rums! There are aromatic notes of sweet spices with vanilla being the dominant character and a nominal cask flavor even though these are aged for 23 years in lightly charred American oak barrels. For me, casked spirits tend to leave an almost acidic taste on the palate but this one doesn’t at all. At 80 proof you will get a nice warming buzz without too much of a burn when sipping. I enjoy this straight, on the rocks, and mixed. Some personal suggestions to mix this are to sub for vodka in a Moscow mule with Reed’s ginger beer and a squeeze of lime or with a good agave/cane based cola such as Q Kola or Maine Root Mexicane Cola (add a squeeze of lemon if you’re adventurous).